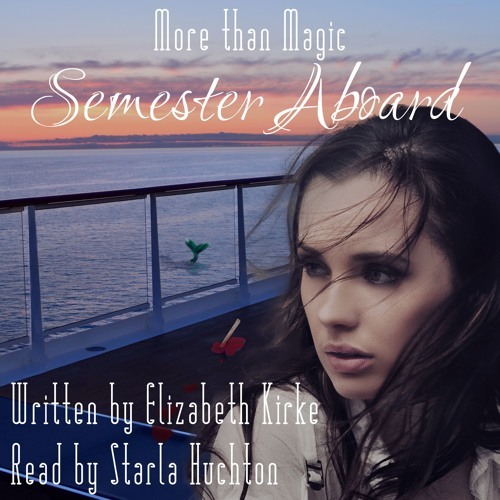 The first chapter in the audiobook version of Semester Aboard, an award-winning Upper Young Adult Urban Fantasy novel. Jen Maddox is a few days into her summer study-abroad program and has loved every moment on her cruise ship turned college campus. Everyone tells her the experience will change her life, but none of them realize just how right they really are. One night, Jen goes out on deck and encounters five other students. She knows Charlie from one of her classes, and he's a funny, friendly, regular guy. Picture-perfect Dani and his gorgeous wife, Mariana, live right down the hall from Jen, and she has seen TS, who's built like a truck, around the ship, and recognizes the cute but quiet Thomas as well. Then Jen sees something that isn't humanly possible. Jen would have thought that it was all a dream if not for the fact that Charlie, Dani, Mariana, TS, and Thomas are making every effort to cover it up. Suddenly, the five of them are everything but normal, and Jen is determined to figure out what they're hiding. When she does, her life really does change. Jen expected to spend her summer studying the cultures of Latin America; she never dreamed she'd learn about a magical culture instead. But Jen's childhood fantasy come true is about to turn into a nightmare; there's something on the ship. Something dangerous. Suddenly, everyone on board is threatened by a creature that Jen never even believed existed. Jen and her new friends might be the only people who can stop it! Now Jen has to learn everything she can about her new world before it kills her. And her friends. And maybe everyone on the entire ship.